Not long ago, in a fit of nostalgic insomnia, I was searching through some books tucked away in my childhood bedroom, and I found this poem, which was written by a woman named Edith Kent Battle. 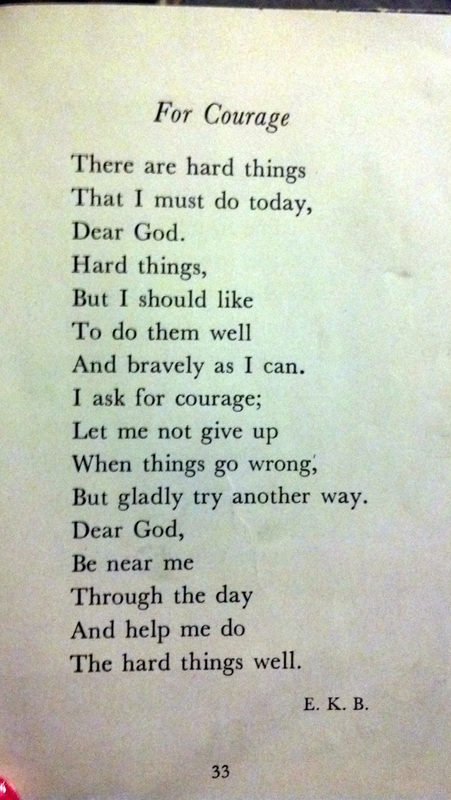 It resonated so clearly with me and my daily thoughts and prayers, so I thought I would share. This is my prayer this week.